Today is officially Flashback Friday! Flashback is one of the greatest side scrolling games ever made and was a huge deal back in the day when it was released on Amiga and the domestic consoles. 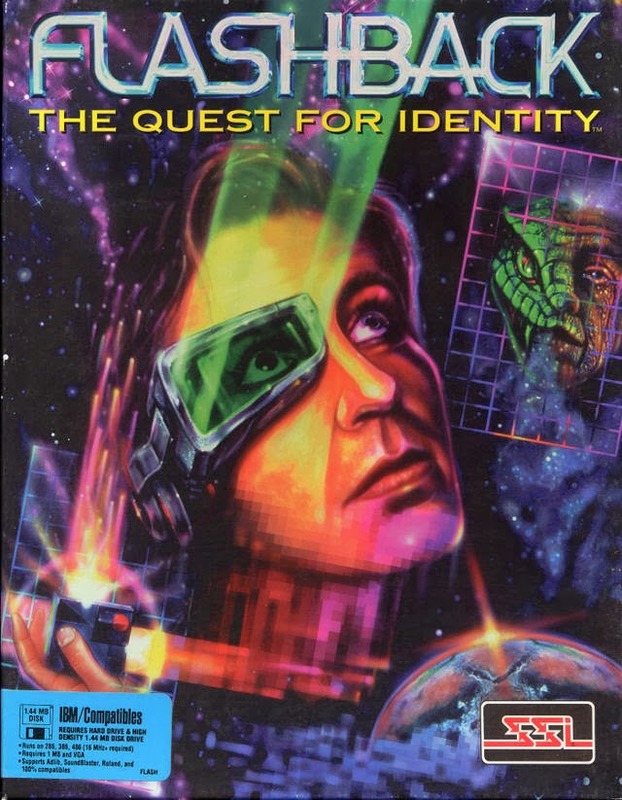 The game prided it self on being a CD Rom game which was packed onto a cartridge. 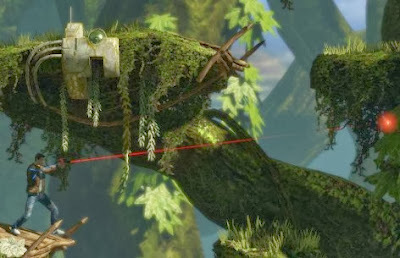 The game had the most fluid animation and motion capture for its time, relying on the same technology used for the Prince of Persia games. 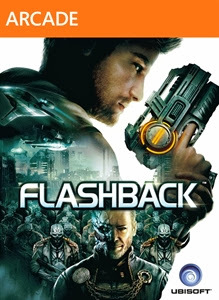 Flashback was a side scrolling action platform game which also had some tricky puzzles to solve along the way. The games plot is about a young man called Conrad Hart who stumbles upon an alien conspiracy to destroy all humans. He gets caught and his memory gets erased. He manages to escape but crash lands in a jungle on the planet Titan after he is shot down by an alien space craft. In order to complete the game Conrad must get his memory back and stop the aliens before its too late. 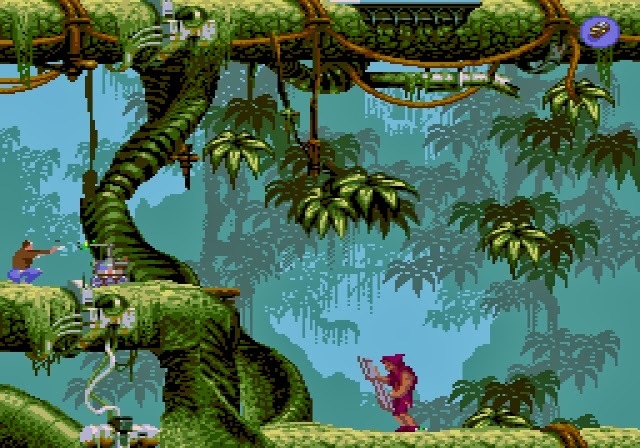 The game was a huge artistic and commercial success spanning over all of the big consoles and home computers. The games graphics were the best for its time and it has some of the smoothest animations of any video game made from that era. 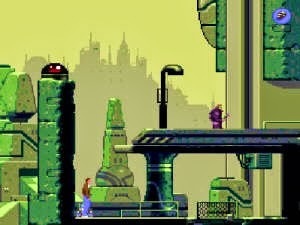 The game was one of the first to use animated cut scenes which yes look dated today, but they were amazing at the time. The game even used cut scenes when you used items or key cards which was pretty cool as well. The games overall game play and animations borrow heavily from the Prince of Persia series in which the main character runs, jumps, grabs onto ledges and climbs up them/swings down to navigate the levels. The lead character of the game can die if he falls too far and has unlimited ammo in has hand gun. The fact you can draw and sheathe your weapon was a very innovative and cool addition for a game of its time. He also has a force field device which can be charged by machines located in certain parts of each level. When fully charged Conrad can take a few hits of gunfire. Later in the game you can pick up a laser force field device which deflects bullets right back at the enemies who fire them. There's also a teleportation device which you acquire later on in the game which teleports you to where ever you throw it. Because the game was pretty big save stations where implemented as well as a password system so you could power off without having to worry too much. 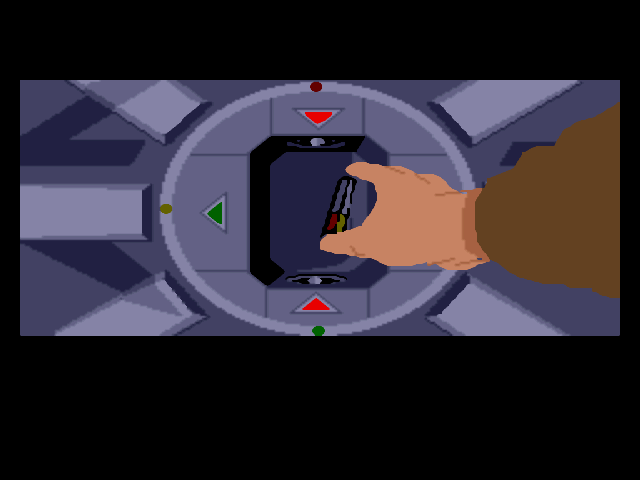 The save station only worked for that period of play though and acted more as a level checkpoint. The only real letdown with this game is the fact you have to do a lot of running around before you can complete a level. In fact you do more running around and solving puzzles than you do in combat. The games enemies are pretty cool and have fairly decent AI for a game made in the early 90's. The game was a huge success and is still a classic in many peoples eyes including mine. Earlier this year Flashback was given a make over and remade for the Xbox 360 and Playstation 3 network by Ubisoft. The games difficulty has been increased and new features such as 360 aiming system has been added as well. Although this is a pretty cool remake and a nod at the origina. The only thing that lets it down is the poor voice acting. The cut scenes look beautiful in 2013 and the graphics are solid (and so they should be 20 years on). 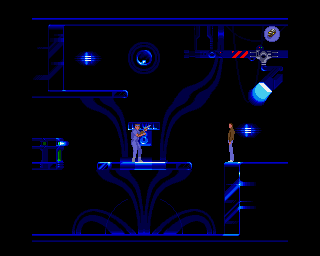 A sequel to Flashback was made in 1995 called Fade to Black but I have never played it. I do plan to play it at some point though. Enjoy your weekend!